Reward your employees, work associates and customers with a ticket to the movies! 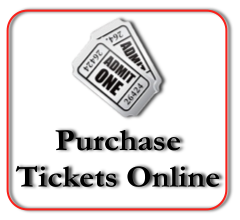 Smithfield Cinemas offers a discounted ticket to companies, special groups and organizations with a minimum bulk purchase. Our Group Discount Tickets are redeemable for any non-3D movie, any time (excluding special engagements or private shows), and the tickets never expire. (The ticket bearer may purchase a $3.00 upcharge ticket at the Box Office to see any 3D movie). These tickets are perfect for corporate gifts or employee incentives. The Group Discount Tickets are available for $7.00 each with a minimum purchase of fifty (50) tickets. Orders over fifty (50) are sold in increments of ten (10). We currently accept MasterCard, Visa, Discover and American Express as well as corporate checks. Thank you for choosing Smithfield Cinema . . . We hope you enjoy the show!